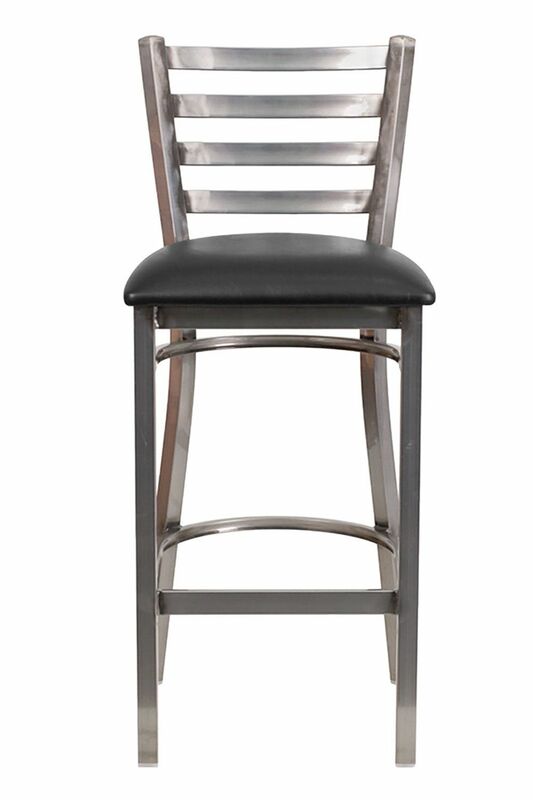 Used in restaurant chains across the US, this metal bar stool is a master of commercial durability, comfort, and stylish appearance. This model features a ladder back and clear coat steel finish. Pick from your choice of black or burgundy heavy duty commercial vinyl, a superior choice over leather in high traffic environments. This bar stool's upholstery is easily cleaned and will not fade or flake over time. Built upon an 18 gauge steel frame, this bar stool was built to last. Each bar stool is covered by an impressive two-year warranty so that you can buy with confidence.